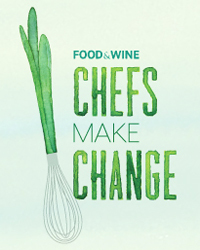 Join Food & Wine’s campaign to feed hungry kids, support struggling farmers and change the lives of families in need. Help 10 superstar chefs make the world a better place. Donate to one of their causes. Like this Coalition on Facebook and tell your friends you helped a chef change the world.